It's finally fall! The leaves are changing color, the air is crispy and the sweaters are now out of the closet! Although I make soup year round, fall and winter are my favorite seasons for a big pot of soup simmering on the stove top. Soup can be a meal starter or a meal in itself. 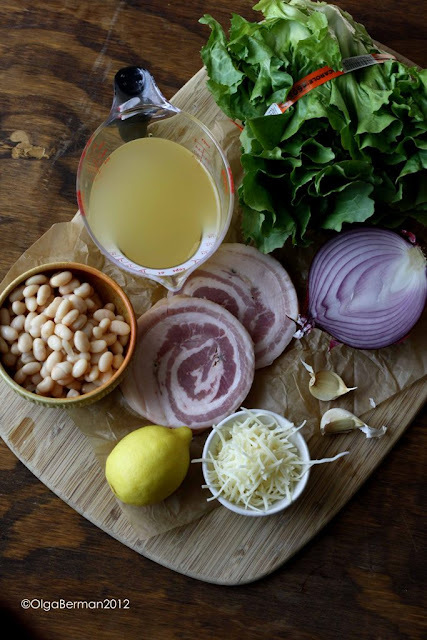 This Escarole Soup with White Beans from Mike Isabella's Crazy Good Italian is an excellent recipe to add to your collection of soup recipes. Recipe from Mike Isabella's Crazy Good Italian by Mike Isabella. Excerpted by arrangement with Da Capo Lifelong, a member of the Perseus Books Group. Copyright © 2012. 1. Heat the olive oil in a stockpot or large Dutch oven over medium heat. Add the pancetta and crisp for 5 minutes, stirring occasionally. Add the red onion and saute for 5 minutes. Add the garlic and saute for 3 minutes. Add the escarole and stir for 2 minutes, until wilted. Season with salt. 2. Add the chicken broth and 1/4 cup Parmiagiano-Reggiano and bring to a boil. Lower the heat and simmer for 8 minutes. Add the beans to the soup, simmering for another 2 minutes. Stir in the lemon juice and black pepper. 3. 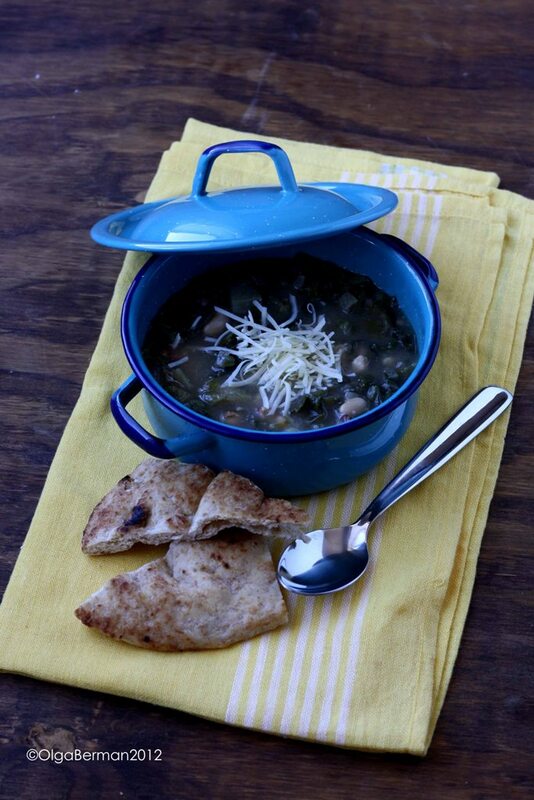 Ladle the soup into bowls and garnish with remaining cheese. Mike Isabella suggested serving the soup with home-made croutons, but I went for pita. I ended up using pre-grated Parmesan cheese and it completely clunked up in the soup. Overall, however, this is a winner. Definitely double or triple the recipe: it has great salty flavor from pancetta, slightly bitter flavor from escarole and the mild flavor of the white beans. Make this soup soon and then have Nutella Sandwich Cookies for dessert! What's the latest soup YOU have made? 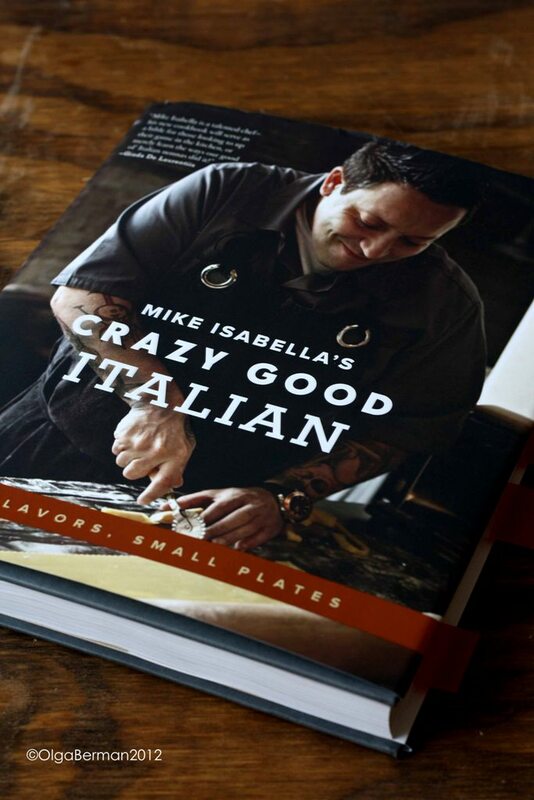 This looks great--love the pancetta. Aren't you so excited it's finally fall? 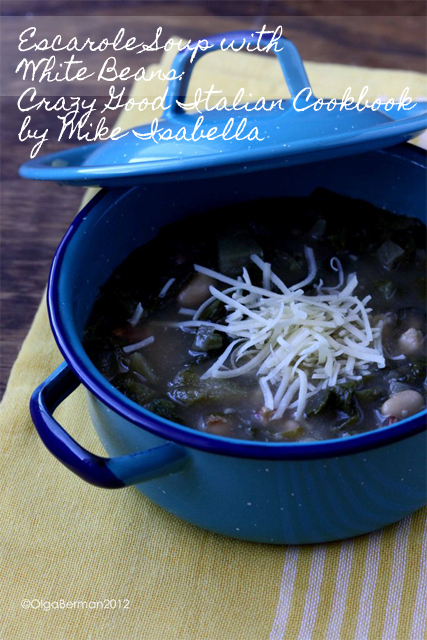 Love this beautiful soup!